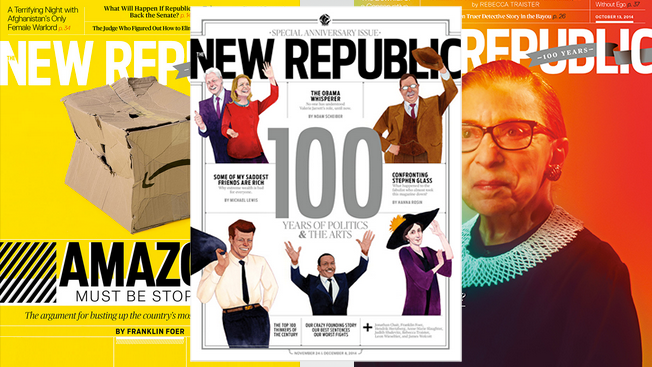 Following last month's staff exodus, The New Republic has begun to fill some of its vacant editorial positions. Today, the magazine's recently appointed editor in chief, Gabriel Snyder, announced in a staff memo that TNR had made four new hires. Jamil Smith will join TNR Jan. 26 as a senior editor. He previously worked at MSNBC as a producer for The Rachel Maddow Show and as a segment and digital producer for Melissa Harris-Perry. At TNR, Smith's coverage will include race, politics and gender. Elspeth Reeve will fill another vacant senior editor position for TNR, focusing on politics and the 2016 election. She joins TNR from The Atlantic Wire, where she worked as a politics editor. Kathy Park Hong will fill the poetry editor position at TNR. To date, she has three published collections of poetry, the second of which was awarded the Barnard Women Poets Prize. Bijan Stephen joins TNR as associate editor from Vanity Fair, where he was an editorial assistant. His work has been published in outlets including The Paris Review and Vice. In his memo, Snyder, who replaced previous editor Franklin Foer in early December, said, "This is the first wave of new hires we'll be making, including in the D.C. office, so I'll have more exciting updates soon on the staffing front in addition to continuing to add to our roster of contributors." TNR's recent staff walkouts—55 employees and contributors followed Foer out the door—came largely in response to a strategy overhaul helmed by the magazine's new CEO, Guy Vidra, who was hired by owner Chris Hughes last September. Despite Hughes' assurances of his admiration for print upon purchasing the brand in 2012, Vidra announced plans last month to transform TNR into a "vertically integrated digital media company," which included slashing print frequency from 20 issues a year to just 10. The magazine will also be moving its base of operations from its longtime home in Washington, D.C., to New York, although it will continue to maintain a D.C. office. Hughes later criticized the staff departure, writing in an op-ed for The Washington Post, "If you really care about an institution and want to make it strong for the ages, you don't walk out. You roll up your sleeves, you redouble your commitment to those ideals in a changing world, and you fight."